Make Sure Your Nails Are 3-Free! Inspired by my pregnancy, I went with the baby-boy vibes plus a double-party-nail on each hand! Loving it! Of course I used one of my fave nail lacquer brands: essie! 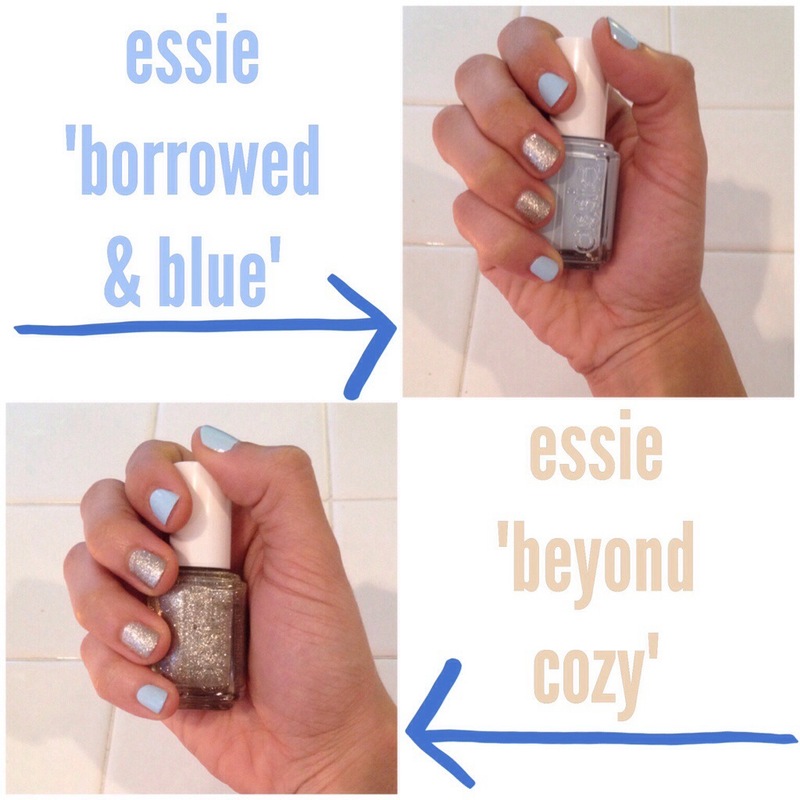 I love the quality, and best of all- ALL ESSIE POLISH IS MADE 3-FREE!!! Is your nail polish free of the 3 major common chemicals in polish? It’s so important! Believe it or not, the chemicals from your nail color go into the skin through the nail beds. Many brand name cosmetic companies use Dibutyl Phthalate, Toluene, and Formaldehyde (Remember formaldehyde??? That disgusting chemical in 7th grade science class used to preserve dead organs and specimens in big, creepy jars?!) There are premier brands that make 5-Free polish, but are generally much more expensive. To take good health measures and still have glam hands, I use a minimum 3-Free polish. Want a list of safe nail lacquer brands? I love this blog post about it, check it out! 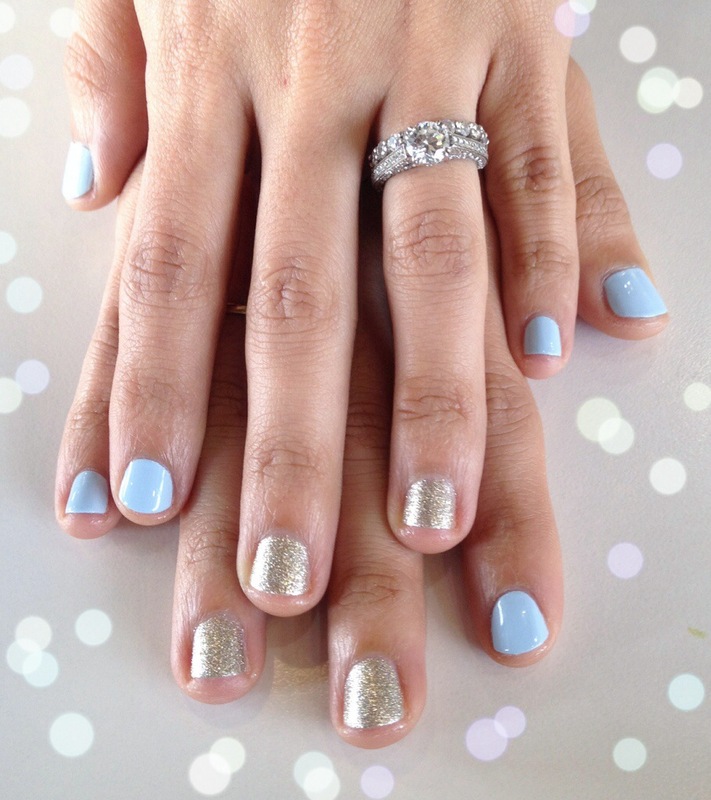 Try a fun party nail, or cute nail art! Every time I look at my mani/pedi I smile and think about how excited I am to become a mom! Such a joy…and it’s fun to incorporate it into everyday fashion too!